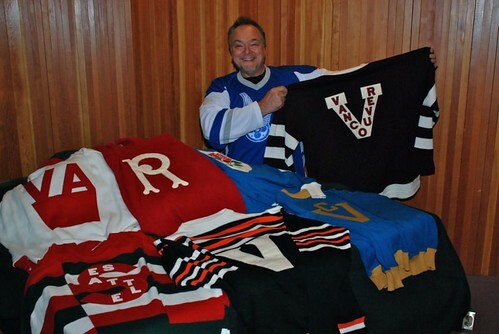 This morning I had the opportunity to chat with Jon Mikl Thor, a hockey historian and archivist who sold the rights to the Vancouver Millionaires to the Vancouver Canucks back in October. Aside from knowing all there is to know about hockey history on the West Coast (and owning the Millionaires brand since 1977), Jon has also written and performs a rock opera with which he’s going out on tour in a few days. The background music clips on the call are from How The West Was One by Kyprios. It’s available for $0.99 on iTunes and it’s become an anthem for the Stanley Cup Playoffs in Vancouver. You can follow Kyprios on Twitter, and Facebook. Awesome interview. Interesting topic for any West Coast hockey fan.